Making copies of DNA requires enzymes called DNA polymerases. These enzymes preserve a genome during replication. Prior to the 1960s, scientists did not have a heat-stable DNA polymerase to use for making more copies of DNA. In 1966, in the fizzing hot springs of Yellowstone National Park in the U.S., ­­­­Thomas D. Brock discovered a bacterium, called a thermophile, that could survive at extremely high temperatures, and named it Thermus aquaticus. The isolated polymerase from this organism was named Taq polymerase. Taq polymerase, the first heat-stable DNA polymerase for PCR, was discovered in 1966. PCR transformed DNA amplification, making the process rapid and efficient. This would revolutionize cloning, DNA testing, forensics and medicine design. The polymerase chain reaction (PCR) was developed by chemist Kary Mullis in the 1980s, as a means to make many copies of DNA fragments. Scientists realized that thermostable (heat-stable) DNA polymerases would be needed for PCR to work efficiently. Taq polymerase, being thermostable, proved ideal for PCR. 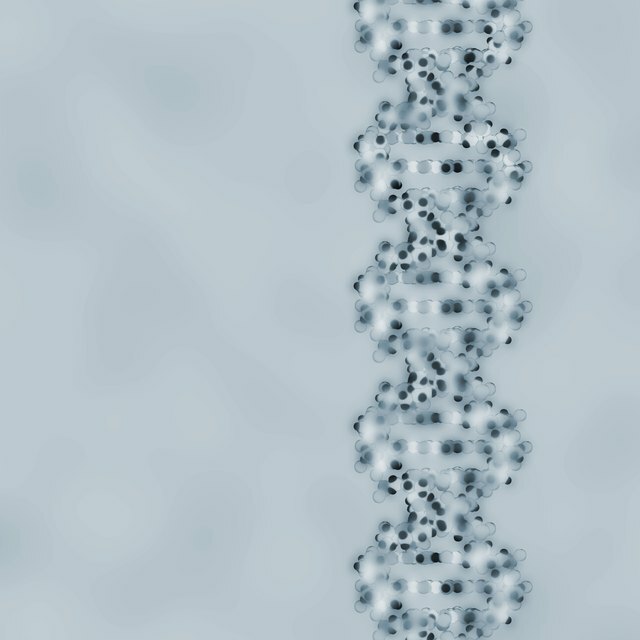 In PCR, a DNA sample is combined with primers, which are nucleic acid sequences that start DNA synthesis; Taq polymerase; and nucleotide triphosphates (dNTPs). This mixture is placed in tubes inside an automated PCR machine. The combination is heated to 94 degrees Celsius, which causes the DNA to denature or unspool, and becomes two single-stranded DNA (ssDNA) strands. The mixture is then cooled to 55 degrees C, at which point the primers anneal to the part of the DNA that needs to be replicated. The combination is heated again, but to 72 degrees C, which is the ideal temperature for Taq polymerase to use the primers to make new DNA strands, and the helix reforms. This process, which takes place in minutes, is repeated many times to create millions of copies of DNA pieces. The Cetus Corporation developed a thermocycling machine, or thermocycler, which sped up the process of heating and cooling the samples. Eventually, rather than isolating Taq polymerase from Thermus aquaticus cells, the pol gene from that bacteria was isolated and cloned to produce its genome in Escherichia coli (E. coli) cells. While newer thermostable DNA polymerases have been discovered, Taq polymerase remains the standard for PCR. The ability to use a tiny piece of DNA and copy it millions of times via PCR has transformed molecular biology. Testing for genetic backgrounds and genetic defects requires only a small sample, yet it yields vast amounts of crucial information that aid medicine and ancestry research. PCR was also used to detect HIV in human cells, opening the field of epidemiology to the benefits of rapid DNA amplification. Forensic scientists regularly use PCR, isolating DNA evidence from strands of hair or small samples of blood, and thereby aiding in fighting crime. Even fossils can yield fragments of DNA that can be replicated many times, providing information about evolution. The power of heat-stable Taq polymerase has led to a vast and priceless advancement in science. Dianne, J.. "The Role of Taq Polymerase in PCR." Sciencing, https://sciencing.com/role-taq-polymerase-pcr-7298417.html. 26 April 2018.